We achieved yet another record performance in 2018 as net profit increased 28% from the previous year to SGD 5.63 billion. 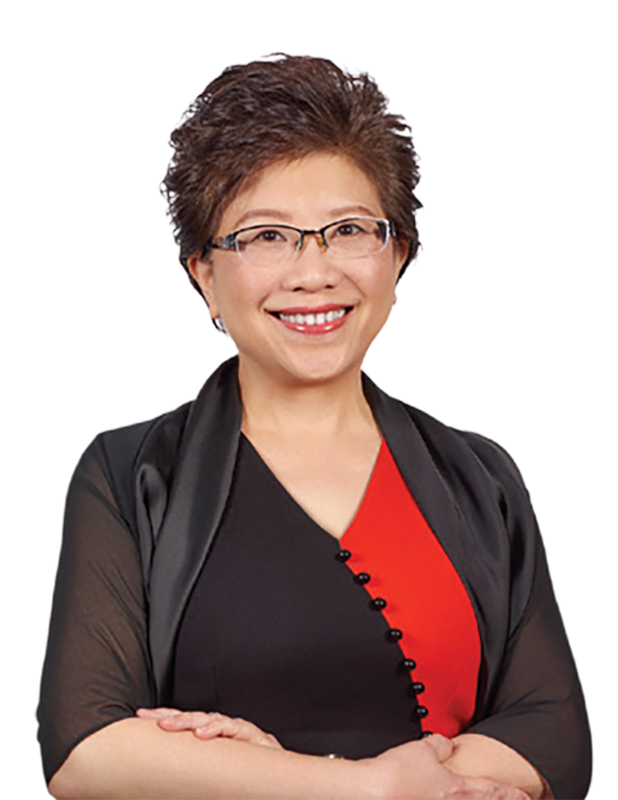 Total income rose 11% to SGD 13.2 billion from loan and fee income growth as well as a higher net interest margin. The real significance of the year’s results was the increase in return on equity (ROE) to 12.1%, near the record of 12.7% in 2007, when interest rates were twice the level today and capital requirements less stringent. Adjusting for the differences in both these ROE drivers, we estimate that ROE is four percentage points better today than 2007. The stronger profitability reﬂects the extensive structural improvements we have made to our franchise over the past decade. We expanded higher-returns businesses and lessened the impact of trading income on our performance. Wealth management and cash management now contribute 33% of group income, compared with 11% of group income a decade ago. 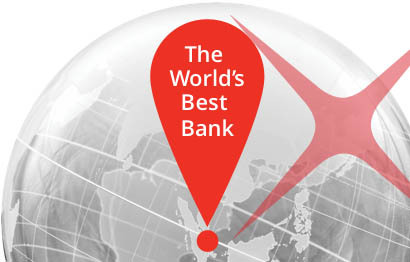 We are now the sixth largest wealth management bank in the Asia-Pacific with SGD 220 billion in assets under management. Our cash management business was voted top in service and among the most popular among corporates and non-financial institutions globally. The Treasury Markets business now accounts for 5% of the group, a quarter of the 22% in 2009. We strengthened our position at home. We worked hard to increase our market share of loans so that our vast, low-cost Singapore-dollar savings deposits could be deployed into higher-yielding assets. Since 2009, our overall market share has risen four percentage points to 25%, with the share of housing loans growing six percentage points to 31%, credit card loans six percentage points to 25% and business loans two percentage points to 22%. The gains propelled our Singapore-dollar loan-deposit ratio from 55% in 2009 to 89% today, resulting in a more efficient balance sheet. Despite intense competition, we continued to command the lion’s share of savings deposits at 52%. In Hong Kong, we grew low-cost current and savings accounts, which now comprise three-fifths of our deposit base. We utilised our product capabilities to capture the cross-border financing requirements of large Chinese corporates, and re-focused our consumer offering to the wealth management segment. As a result, earnings have tripled over the decade to SGD 1.36 billion. For the Rest of Greater China, earnings have quadrupled to SGD 275 million. We identified areas that customers were not adequately provided for, one of them being insurance. We built up internal capabilities and partnered Manulife and Chubb, two leading providers of life and general insurance respectively. Our bancassurance market share in Singapore leapt from almost nothing a decade ago to one-third of the market, making us the market leader today. Insurance now accounts for two-fifths of our wealth management fee income, providing a material lift to our returns. To pre-empt the disruption that technology would inevitably bring, we embarked on a comprehensive digitalisation of the bank, with the most measurable financial impact being seen in our consumer and SME businesses in Singapore and Hong Kong. Customers using our award-winning digital platforms to purchase a product, upgrade to a higher customer segment or carry out a majority of transactions have brought us twice the income per head compared to customers that prefer traditional channels. At the same time, the cost of serving customers on digital platforms is significantly lower than through traditional channels. The increasing digitalisation of our consumer and SME businesses in Singapore and Hong Kong has progressively improved our cost-income ratio since 2015, when the fruits of our efforts began to be felt in earnest. Digital customers grew from 33% of the base in 2015 to 48% in 2018. Because they have a significantly lower cost-income ratio of 34% than the 54% for traditional customers, the rising proportion of digital customers has lowered the cost-income ratio of these businesses by one percentage point a year when distortions caused by net interest margin changes are neutralised. Since these businesses account for almost half of the group, digitalisation has structurally lowered the group’s cost-income ratio by half a percentage point a year. The improvement was masked in the group’s reported cost-income ratio because two principal factors overwhelmed the impact of digitalisation in 2018. First, the Treasury Markets business had an exceptionally weak performance because of challenging conditions for a large part of the year. Its income fell 21% from the previous year to SGD 672 million, the lowest on record. Second, while the consolidated ANZ business was profitable — its net profit of SGD 162 million in 2018, the first full year of consolidation, exceeded the SGD 110 million we paid for it — its cost-income ratio of 52% was a drag on the group. The two factors contributed to the 13% increase in expenses to SGD 5.80 billion compared to the 11% increase in total income. If both factors were adjusted for, income and expenses would both have increased 8%. The year’s performance was achieved despite strong financial market headwinds in the second half. The year had begun with a favourable operating environment and upbeat outlook. The region’s economies were registering healthy momentum in synchrony with the US and Europe. The confidence was reflected in our pipeline for corporate loans across the region and housing loans in Singapore. At the same time, interest rates were seen to be on a prolonged upcycle, benefitting net interest margin. The optimism contributed to exceptional risk appetite in the first quarter, but the exuberance began to fade by mid-year. In the second half, financial markets became increasingly gripped by macroeconomic and geopolitical uncertainty — principally trade tensions, deleveraging in China, and the prospect of further interest rate increases amidst a flattening of the yield curve. Such anxieties had little impact on corporate loan demand, which remained strong throughout the year. Trade tensions did not have a material effect on supply chains in the short-term. The ongoing deleveraging in China did not affect our customer base given the nature of our business. Momentum in non-trade corporate loans was sustained over the four quarters, resulting in a 12% or SGD 20 billion constant-currency growth for the year to SGD 191 billion. The expansion was broad-based as we financed cross-border activities, property transactions and working capital requirements for corporate and SME customers around the region. The increase in non-trade loans was partially offset by a 6% or SGD 3 billion decline in trade loans to SGD 43 billion due to intense competition. We chose to maintain discipline and let maturing trade loans run off when reasonably-priced replacements could not be found. The lower trade loan volumes did not have a material impact on net interest income given the low margins of the forgone loans. Consumer loan growth was healthy at the start of the year but slowed in the second half. Singapore housing loan growth was tempered by the cooling measures announced in July. Instead of the SGD 4 billion increase we had initially expected for the year, Singapore housing loans rose by just under SGD 2 billion. Together with another SGD 2 billion increase in non-housing consumer loans, overall consumer loans grew 3% or SGD 4 billion during the year. Overall gross loans grew 6% or SGD 21 billion to SGD 350 billion. Net interest margin rose ten basis points to 1.85% as loans were repriced in line with higher interest rates in Singapore and Hong Kong. Excluding Treasury Markets activities, the underlying net interest margin increased 14 basis points. The increase in loan volumes and net interest margin resulted in a 15% rise in net interest income to SGD 8.96 billion. The headwinds in financial markets in the second half did affect non-interest income. Fee income grew 6% to SGD 2.78 billion, with practically all of the increase occurring in the first half. Wealth management, brokerage and investment banking fees collectively rose 26% in the first half but contracted 11% in the second half compared to the previous year. The second-half slowdown in financial market fees was softened by steady growth over the year in other fee activities. Card fees rose 31% for the year from higher debit and credit card activities in Singapore, as well as the consolidation of the ANZ retail and wealth management businesses. Cash management fees increased 13%, which more than offset a 7% decline in trade fees to enable transaction banking fees to increase 5%. Loan-related fees, which fell 18% in the first half due partly to lumpy bookings, were 13% higher in the second half. These non-financial-market fees collectively grew 4% in the first half and 17% in the second half. Other non-interest income fell 4% to SGD 1.45 billion as gains on investment securities declined 69% to SGD 131 million. Under Singapore Financial Reporting Standard (International) 9 [SFRS(I) 9] adopted on 1 January 2018, gains on equity investments after the adoption date could not be recognised in the profit and loss, which encouraged banks to realise such gains in 2017. The lower investment gains more than offset property disposal gains of SGD 91 million. The 11% increase in the group’s total income was due to Consumer Banking/ Wealth Management (CBG/ WM) and Institutional Banking (IBG). Their combined income growth progressively rose from SGD 239 million in the first quarter to SGD 417 million in the fourth quarter compared to the year-ago period. CBG/ WM’s growth was led by a higher net interest margin and the consolidation of ANZ, while IBG’s was from cash management and treasury customer sales. The growth in the two businesses was partially offset by a 21% decline in Treasury Markets income due to unfavourable market conditions. Asset quality continued to be healthy. New non-performing asset (NPA) formation remained low and was more than offset by recoveries and write-offs. NPAs fell 6% to SGD 5.68 billion while the non-performing loan ratio declined from 1.7% to 1.5%. Specific allowances (SP) amounted to SGD 711 million compared to the previous year’s SGD 2.40 billion, which had included SGD 1.83 billion for oil and gas support service exposures. We continued to maintain a healthy level of general allowances (GP) under the new methodology that was adopted as part of SFRS(I) 9. Allowance coverage amounted to 98% of NPAs. If collateral was considered, the allowance coverage was at 178%. We also had sufficient liquidity to support growth. Deposits rose 5%, in line with loan growth, to SGD 394 billion. The loan-deposit ratio was comfortably at 88%. The liquidity coverage ratio of 133% and net stable funding ratio of 109% were well above the regulatory requirement of 100%. Our Common Equity Tier 1 (CET1) capital adequacy ratio was stable from a year ago at 13.9%. We paid an interim dividend of 60 cents per share and are proposing a final dividend of another 60 cents per share for approval at the upcoming annual general meeting. This will bring the payout for the financial year to SGD 1.20 per share. Our policy of paying sustainable dividends that increase over time with earnings growth is unchanged. We delivered total shareholder returns of 2% during the year. We paid out a dividend of SGD 1.70 per share during the calendar year (comprising the final 2017 and interim 2018 ordinary dividend of 60 cents each, plus a special 2017 dividend of 50 cents), which more than offset the impact of a 5% share price decline as equity markets sold off in the second half. The region’s longer-term fundamentals remain intact. As such, protracted geopolitical tensions and growing macroeconomic uncertainty in the US and Europe are likely to moderate rather than derail Asia’s economic prospects in 2019. The structural improvements we have made to the profitability of our franchise — a shift towards higher-returns businesses, deeper customer relationships, a gradual improvement in our cost-income ratio from digitalisation, and more nimble execution — will enable us to continue capitalising on the region’s long-term prospects while navigating any short-term challenges. Our franchise has been fundamentally transformed over the past decade. Wealth management and cash management, two high-returns businesses, are now five and eight times their size in 2009. As a result, both businesses now account for 33% of the group, three times the 11% in 2009. The Treasury Markets trading business now accounts for 5% of total income compared to 22% previously. Our market shares in Singapore have also improved, enabling us to deploy our sticky low-cost deposits, for which we have maintained a 52% share, into customer loans instead of lower-yielding interbank assets. The increases in the SGD and overall loan-deposit ratios attest to the significant improvement in our balance sheet efficiency. Our once-negligible share of bancassurance has risen to one-third of the market, making us the largest provider domestically. In Hong Kong, earnings have tripled over the period to SGD 1.36 billion. In the Rest of Greater China, earnings have quadrupled. The number of customers in our consumer and SME businesses in Singapore and Hong Kong primarily using digital channels expanded 0.4 million during the year to 2.9 million. This increased the proportion of digital customers to 48% from 42% in 2017 and 33% in 2015. With twice the income per head and lower delivery costs, the digital segment’s cost-income ratio of 34% was significantly below the traditional segment’s 54%. As the proportion of digital customers rose over the years, the cost-income ratio of the overall consumer and SME businesses in Singapore and Hong Kong (after neutralising the impact of net interest margin changes) improved one percentage point a year since 2015 to 45% in 2018.
Business momentum was sustained over the course of the year. Income growth for CBG/ WM and IBG accelerated over the four quarters from loan growth, cash management and treasury customer sales for IBG, and from a higher net interest margin and the consolidation of ANZ for CBG/ WM. Treasury Markets income growth fluctuated given the volatile financial market conditions during the year. By geography, income and earnings growth were broad-based across regions. In particular, the combined earnings of Singapore and Hong Kong grew 26% to SGD 5.13 billion; in absolute terms, the growth exceeded SGD 1 billion. The strong growth in the two anchor markets provided us with headroom to continue investing in growth markets. South and South-east Asia’s earnings declined two-fifths to SGD 43 million due to costs from the consolidation of ANZ in Indonesia. In 2019, we will transform our presence in India from 12 branches to a wholly-owned subsidiary. Net interest income increased 15% to SGD 8.96 billion. Net interest margin rose ten basis points to 1.85%. Higher interest rates in Singapore and Hong Kong resulted in a faster repricing of loans than deposits, a majority of which were sticky lower-cost savings and current accounts in the two markets. Excluding Treasury Markets activities, net interest margin rose 14 basis points for the year, with the progression sustained over the four quarters. In constant-currency terms, gross loans rose 6% or SGD 21 billion to SGD 350 billion. The increase was predominantly due to a 12% or SGD 20 billion growth in non-trade corporate loans. Consumer loans increased 3% or SGD 4 billion with growth slowing in the second half as Singapore residential property cooling measures and weaker financial markets curbed demand for housing loans and margin financing. Partially offsetting the growth was a 6% or SGD 3 billion decline in trade loans due to intense competition. In constant-currency terms, deposits rose 5% or SGD 19 billion to SGD 394 billion. In line with market trends, the increase was in fixed deposits. Our market share of SGD savings deposits was maintained at 52%. Net fee income rose 6% to SGD 2.78 billion. Leading the increase was an 18% rise in wealth management fees, which occurred in the first half. Card fees rose 31%, boosted by the consolidation of ANZ. Investment banking fees fell 41% due largely to weak financial markets in the second half. Transaction banking fees rose 5% as a 13% increase in cash management fees was moderated by a decline in trade finance fees. Loan-related fees fell 5% as an 18% decline in the first half was partially offset by a 13% gain in the second half. Other non-interest income fell 4% to SGD 1.45 billion as a 69% decline in income from investment securities to SGD 131 million was partially offset by property disposal gains of SGD 91 million. Expenses rose 13% to SGD 5.80 billion. If Treasury Markets and ANZ were excluded, the underlying increase was 8% and the cost-income ratio was stable. New non-performing asset formation remained low. For the IBG portfolio, it was similar to the previous year when oil and gas support service exposures were excluded. Net non-performing asset movement for CBG was minimal. SP fell to SGD 711 million or 19 basis point of loans, moderately below our long-term average. Allowance coverage rose from 85% in the previous year to 98%. A new methodology for general allowances (GP) was implemented in 2018 as part of the adoption of SFRS(I) 9. GP is now based on an expected credit loss (ECL) balance derived from risk models, loss experience and macroeconomic forecasts. At the same time, Singapore banks are still required to maintain a GP of at least 1%. When the ECL falls below 1%, the shortfall is appropriated from retained earnings into an account called the Regulatory Loss Allowance Reserves (RLAR). As at 31 December 2018, the ECL was calculated to be SGD 2.57 billion, while the 1% requirement was SGD 2.95 billion. The shortfall of SGD 376 million was appropriated from retained earnings into the RLAR. Read more about our 2018 priorities here. Asset quality improved with lower allowance charges. With macroeconomic headwinds increasing, we remain alert to their potential impact on our portfolio.